“Parents didn’t even know what STEM was, nor STEAM!” exclaimed a conference participant. Similar concerns could be heard from many of the academic and entrepreneurial educators this April, streaming out of the San Francisco Marriott after their first few days in windowless meeting rooms and actually talking to parents – their potential customers. These would-be entrepreneurs were all grantees participating in a two month-long funded Lean LaunchPad course, developed by Steve Blank and run by the National Science Foundation (NSF) under the Innovation Corps for Learning (NSF I-Corps L) program. The goal of the program is to vet their educational ideas for sustainability and/or scale. Lean methods have been embraced as a near religion in some startup circles, and is perceived to be the ideal method for driving potential unicorn-sized high growth market opportunities. Now the NSF is banking on Lean LaunchPad for social impact ideas to find their greatest impact. The goal of NSF I-Corps for Learning is to foster entrepreneurship that will lead to the commercialization, greater scale and impact of STEM education, and learning innovations. The limited adoption and quality of STEM education is considered a crisis by the Committee on Science, Technology, Engineering and Mathematics Education under the National Science and Technology Council (NSTC). In response, the NSTC has developed a five-year strategic plan to address the US’s low ranking in STEM education and lack of skilled STEM workers. I attended the NSF’s I-Corps L program as a mentor on an NYU team – Cognitive Toy Box – as I was curious to see how Lean LaunchPad works on social impact challenges. 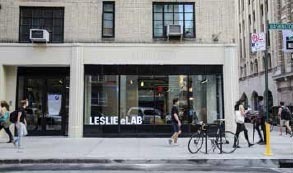 I’ve participated in the adoption of the Lean LaunchPad method within NYU. NYU’s Entrepreneurship Institute has been a lead proponent of adopting Lean LaunchPad curricula in the Summer LaunchPad accelerator and supporting educators across NYU to prototype the course. I have had the privilege of teaching the first for-credit class at NYU at Tisch’s ITP program in 2014, which continues this year as we support a new batch of student teams to find their market potential. There are a number of parallels in how the NSF teaches Lean LaunchPad and how we have adopted the curricula at NYU ITP. Because ITP is an engineering school in an art school, students are encourage to explore pre-commercial ideas and often struggle when they start to think of their concepts, projects, and potential businesses. Most of the teams participating in NSF I-Corps L program faced a similar struggle – did their idea have the potential to be a scalable business, or even deliver a sustainable source of recurring revenue? What organizational structure would best propel their educational innovation? Where should they focus their efforts so that their innovation could achieve maximal social impact? Does the team have what it takes to pursue their innovation? While these questions may seem crazy to a Bay Area creator of the next wearable, dating app, or cloud-based big data analytics solution, they are deeply relevant to educators who are motivated not by profit potential, but by educational impact.